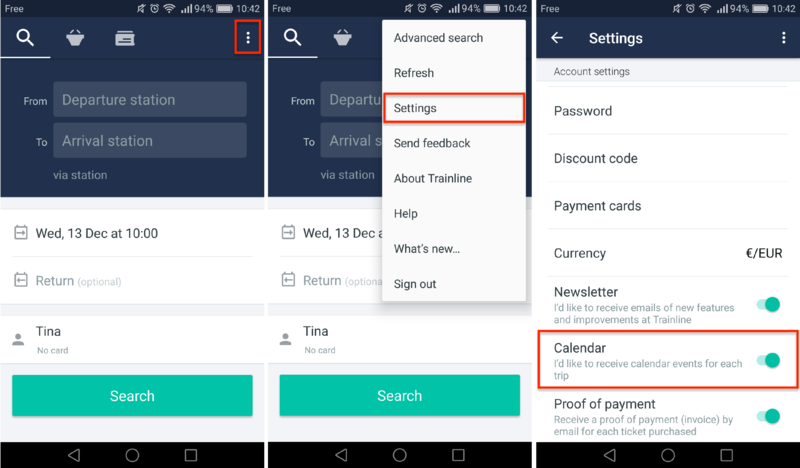 You can subscribe to a Trainline calendar to have all of your trips displayed in your usual calendar application (Google Calendar, Outlook, Lightning, Apple Calendar...). 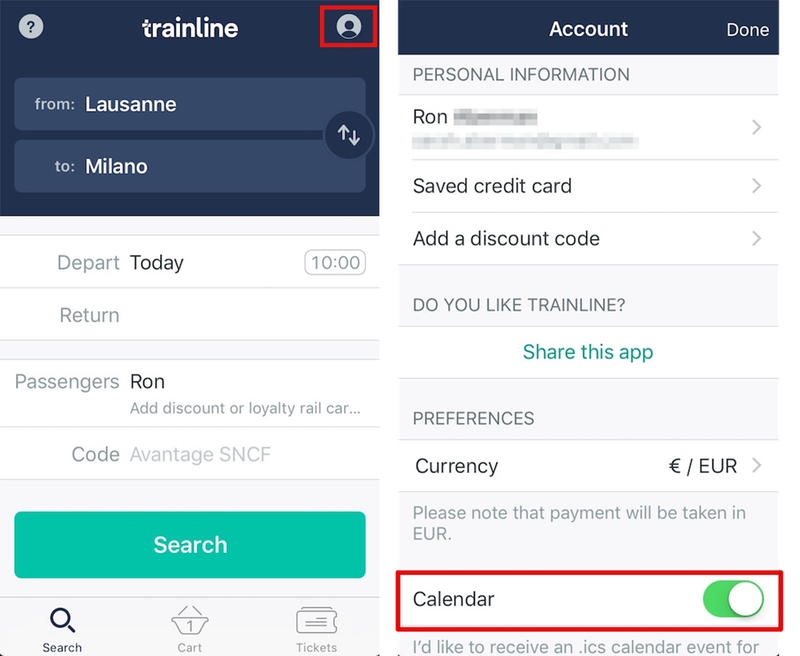 All you need to do is add the URL of your Trainline calendar to your calendar app, only once. After this, as soon as you have booked and paid for a trip, an event in your calendar will automatically be created. If you cancel your ticket, the event will automatically be cancelled too! How do I find the URL for the Trainline calendar? Head to the Preferences section of your account, by clicking on your name on the top right hand corner and then Preferences. 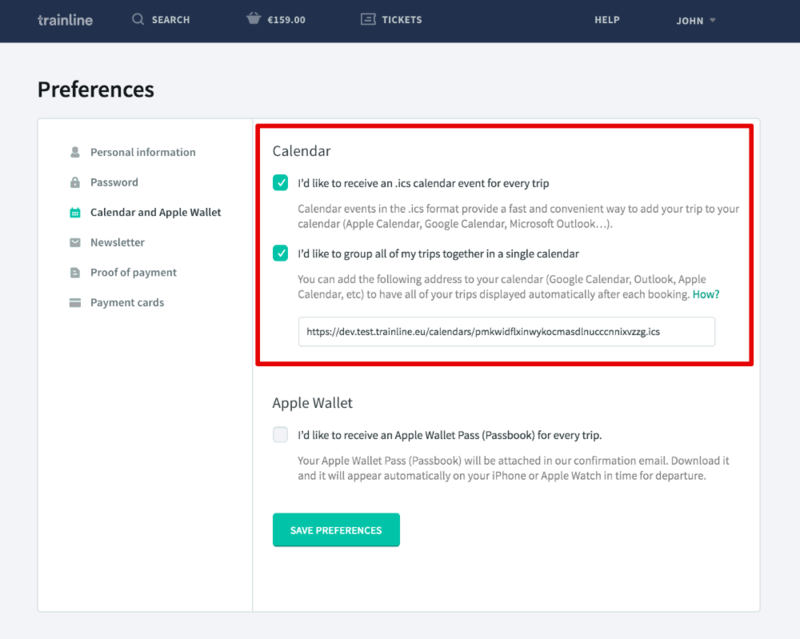 From there you can go to Calendars and Apple Wallet and select the option to group all of your trips together in a single calendar. Copy the URL that appears in the field below. This is the address of your Trainline calendar. 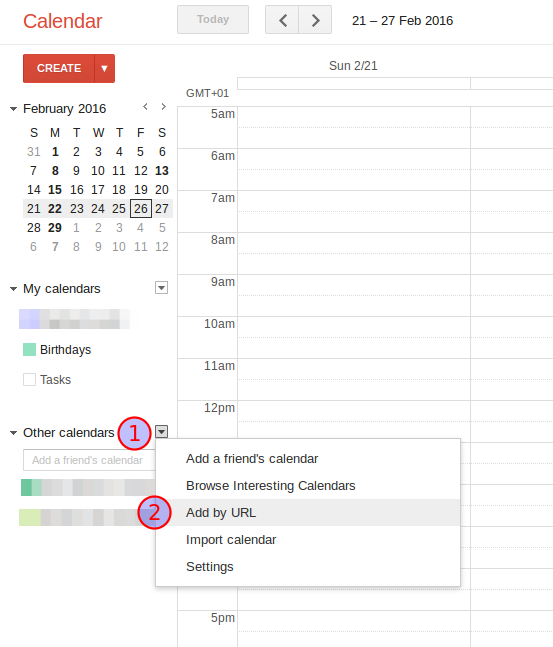 Open Google Calendar on a computer (calendar imports can only be made on a computer). On the right hand side, you have the Other calendars option. Select this and then add by URL. From there you can paste your Trainline calendar URL. Tap the character icon on the top right of the screen. Tap on the three dots on the top right of the screen.